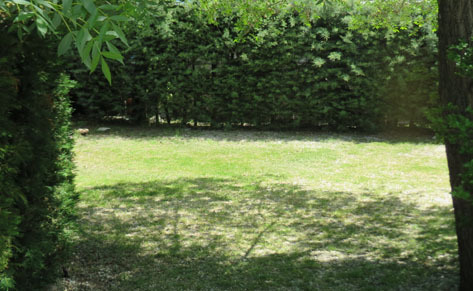 You will find abundant shady plots with magnificent facilities. The campground has sites for camping with tents, caravans, or RV’s. There are also sites for open air camping. All camp sites have electric, sanitary, and water hook ups, and drains. We also offer group discounts for schools, special events, sporting tournaments, and other group events. Adults. 7.60 € / day. Child. 6.20 € / day. Tents. 7.40 € / day. Caravans. 7.40 € / day. RV’s. 10.90 € / day. Motor bikes. 6.00 € / day. Electric usage. 6.70 € / day. Autobus. 21.00 € / day. 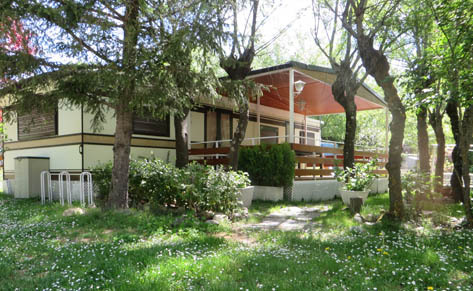 The Pico de la Miel Campground, due to its proximity to Madrid, with its excellent communications, urban location, large equipment, installations, and very pleasant atmosphere, is an ideal location to leave your caravan on-site long term, and enjoy its use during long stays, week-ends, summer vacation, etc. As a result, the campground provides special long term rates. Consult the campground reception by telephone or email regarding camping mode, rates, and special promotions. Amortized Parking: the value of time spent camping is discounted from the initial down payment. Non-amortized Parking: special discounts are available should you eventually opt for long term camping. Consult with the reception office for rates and conditions.